Dr. Bigatti graduated from the Joint Program in Clinical Psychology between University of California San Diego and San Diego State University. Her degree is in Clinical Psychology with a Behavioral Medicine specialization. She completed her clinical internship at Yale University School of Medicine. 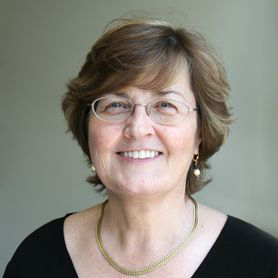 Since obtaining her degree, Dr. Bigatti has been an academician and researcher, with over 50 publications and well over 150 research presentations at local, national, and international scientific conferences. She has received both internal and external funding for her research endeavors. Dr. Bigatti’s current research portfolio centers on health disparities. She examines the distinct psychological stress experienced by different populations and its negative physical and mental health outcomes. In studies focused on investigating health disparities in Indianapolis communities, she uses a Community Based Participatory Research framework. Her intervention research has focused on psychosocial interventions for fibromyalgia syndrome, advanced cancer, and adolescent resiliency training. Below are descriptions of her current research projects. In an effort to reduce this time commitment and burden for researchers to connect to community partners. Dr. Bigatti started, with other collaborators on campus, the Latinx Community University Research Coalition of Indiana. The mission of the coalition is to connect university researchers with community organizations to address equity and well-being for Latinos across the state of Indiana, through community-engaged research efforts. The conference was featured in the local Spanish Media (https://www.youtube.com/watch?v=HocqWqoIIRs). African Americans are more likely to die from breast cancer than all other groups, a disparity that in Indiana translates into a 42% higher likelihood of mortality. In this ongoing three-year study, Dr. Bigatti is assessing participants weekly throughout their cancer treatment to identify the points at which problems occur and what experiences specifically surround them. Upon completion of this study, Dr. Bigatti will work with community groups to create interventions that can be administered by community-serving organizations. In Indiana, Latino youth fare the worst in terms of depression and suicide. In collaboration with the Latino Health Organization, a community serving non-profit interested in addressing this problem, Dr. Bigatti created a resilience-building and identity development intervention, in the form of an arts-based summer camp. YLYS is an impressive undertaking, with high impact at various levels. (https://vimeo.com/100898873).It is interdisciplinary team science that brings together researchers from various units on campus as well as local professional artists and therapists. The program has run for the last five years with contributions from various organizations around Indianapolis, and significant investment from IUPUI in the form of funding of undergraduate students who serve as mentors. YLYS has increased resilience and decreased depressive symptoms in participants, improvements maintained long-term. YLYS has been highlighted by various IUPUI publications and in a WFYI piece (http://www.wfyi.org/news/articles/mental-wellness-promoted-at-latino-youth-camp). YLYS has led to additional projects for Dr. Bigatti, including a program for mothers, Mama Sana Mente Sana, and a program for girls, the Young Latina Project. With a new community partner, The Learning Tree, Dr. Bigatti adapted the YLYS curriculum for African American youth to be taught by neighborhood artists, the Sawubona Story Lab. An adaptation of YLYS in partnership with the IU Public Policy Institute and the Immigrant Welcome Center focuses on refugee youth populations, the Rhyme project. Wagner, C.D., Johns, S., Brown, L., Hanna, N., & Bigatti, S.M. (2016). Acceptability and feasibility of a meaning-based intervention for advanced cancer patients and their spouses: A pilot study. American Journal of Hospice and Palliative Medicine, 33(6), 546-554. PMID: 25753182. Steiner, J.L., Bigatti, S.M., & Ang, D.C. (2015). Trajectory of change in pain, depression, and physical functioning after physical activity adoption in fibromyalgia. Journal of Health Psychology. DOI: 10.1177/1359105313504234; PMID: 24165860. Bigatti, S.M., Steiner, J.L., & Miller, K.D. (2012). Cognitive appraisals, coping and depressive symptoms in breast cancer patients. Stress and Health, 28(5), 355-361. DOI: 10.1002/smi.2444; PMCID: PMC4105002.